JEE Advanced 2019 – Indian Institute of Technology (IIT) Roorkee has announced that JEE Advanced 2019 will now be conducted on May 27 on account of the elections. JEE advanced is a computer-based exam to be held in two different sessions for Paper 1 & 2 for admissions to the undergraduate engineering programmes at the IITs. It is mandatory for candidates to attempt both Paper 1 and 2. JEE Advanced 2019 registrations will open on May 3 and will be available till May 9. According to the official brochure. the top 2,45,000 qualified candidates of JEE Main 2019 will be eligible to appear for JEE Advanced. The JEE Advanced 2019 admit card will be available from May 20 to 27. The official result of JEE Advanced 2019 will be announced on June 14. Counselling and allotment of seats will be done through JoSAA. To know about the important dates, application process, examination, result and more of JEE Advanced 2019, read the full article. Only the top 2,45,000 JEE Main 2019 qualified candidates will be eligible for JEE Advanced examination. There are 11,279 seats in IIT's for admission to B.Tech programmes. The JEE Advanced important dates 2019 are listed below for all candidates to know when the various admission events may commence. JEE Advanced 2019 has been declared to be held on May 27. All candidates who wish to apply for JEE Advanced 2019 are required to meet the requirements which have been set by the authorities concerned. These set of requirements are the eligibility criteria of JEE Advanced 2019. If the candidates are not able to meet the eligibility criteria, then they will not be allowed to attempt the examination. Age limit – The Supreme Court of India has released an interim order stating that candidates who are above the age of 25 years can apply for JEE Advanced 2019, until further notice. Number of attempts – JEE Advanced can be attempted by the candidates two times in two consecutive years. Qualifying examination – The candidates should have appeared and qualified 12th standard (or equivalent) examination in 2018 or 2019. IIT Admissions – Should not have been admitted in an IIT irrespective of whether or not he/she continued in the programme or accepted an IIT seat by reporting at a reporting centre in the past. Those candidates whose admission at IITs was cancelled after joining will also not be considered eligible for JEE Advanced. JEE Main – All of the candidates have to qualify JEE Main and satisfy the determined cutoff for admissions into IITs through JEE Advanced examination. *The total number of candidates can be slightly greater than 2,45,000 in the presence of “tied” ranks/scores in any category. IIT Roorkee will be releasing the application form of JEE Advanced 2019 on May 3. Since a very short time will be provided to the candidates to fill the JEE Advanced application form 2019, the candidates should complete the process quickly. Before filling the application form, it is important for all candidates to check the eligibility criteria. It is important for the candidates to fill and submit the JEE Advanced 2019 application form since only the registered candidates will be generated admit cards and will be allowed to participate in the examination. Step 1 – Registration: The candidates will have to log in using JEE Main 2019 roll number and password. Additional information has to be submitted. Step 2 – Uploading of Scanned Documents: Required documents will have to be scanned and uploaded by the candidates. Step 4 – Printing of Confirmation Page: After the payment is done, the candidates will have to submit the application form and take a print out of the confirmation page. While filling the application form, the candidates will also be required to select their preferred exam centres of JEE Advanced 2019. The examination will be conducted at various centres in India and abroad. In the previous year, there were multiple centres in 155 exam cities in India and 6 cities abroad. The exam centres abroad were situated in Bangladesh, Ethiopia, Nepal, Sri Lanka, Singapore and the United Arab Emirates. Since JEE Advanced 2019 is a high difficulty level examination, the candidates are expected to prepare well. 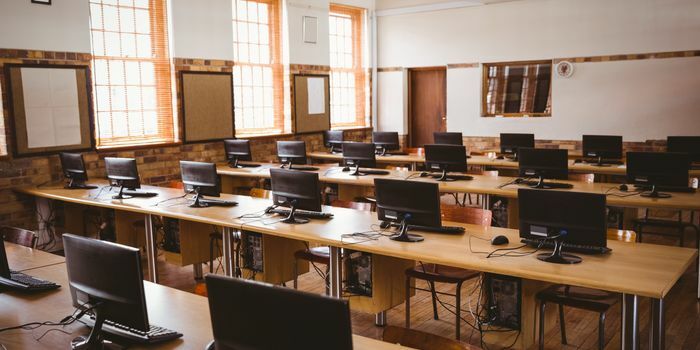 Before the preparation starts, the candidates should have first-hand knowledge about the examination such as its pattern, syllabus, mock test, sample papers and more. The exam pattern of JEE Advanced 2019 offers information about how the question paper will be like along with details such as the type of questions asked, marking scheme and more. While the candidates are advised to check the exam pattern, it is also important to know that the pattern of JEE Advanced 2019 is not fixed in nature i.e., it may change every year. Still, the candidates will be able to have a good idea about the various aspects of the examination through the pattern. IIT Roorkee will soon be releasing the syllabus of JEE Advanced 2019. All of the chapters and topics required to be studied for the examination will be present in the syllabus. Using the syllabus, the candidates can check what has to be studied and prepared for the examination. Before starting off the preparation process, it is advised that the candidates check the JEE Advanced 2019 syllabus. 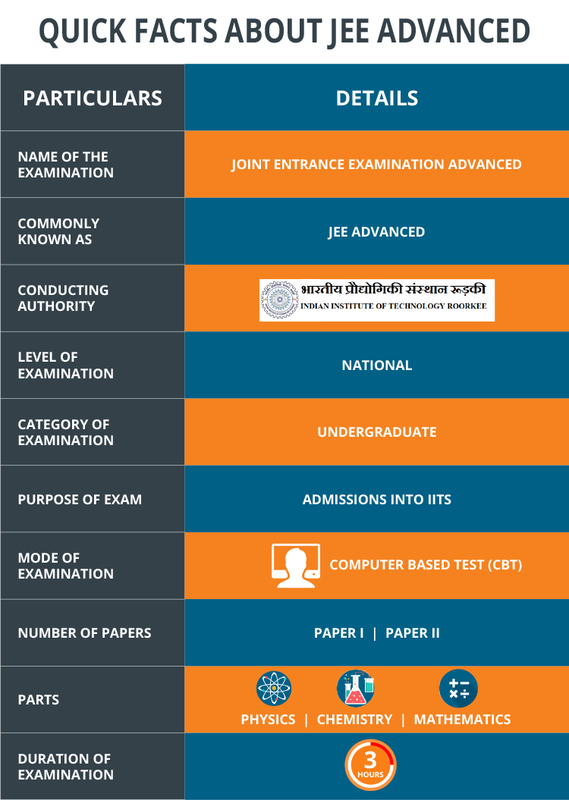 IIT Roorkee has released the mock test of JEE Advanced 2019 for both Paper 1 and Paper 2.Stuents can practice the mock test available in JEE Advanced 2019 portal and can get familiar with the computer-based test pattern while also practicing for the examination. JEE Advanced 2019 mock test is available online to help the aspirants of the examination. The mock test is 180 minutes long and the candidates will be able to navigate themselves between sections and mark their answers. Mock test centres may also be set up for the candidates. Another way of preparing for the examination is by using the sample papers of JEE Advanced 2019. The pattern of the sample papers will be similar to the real question papers of JEE Advanced. Using the sample papers, the candidates can practice for the examination while knowing more about the pattern, marking scheme, types of questions asked and more. Sample papers and past question papers are often recommended to the candidates by experts for preparation. The admit card of JEE Advanced 2019 will be released on May 20. Candidates who register for the examination will be able to download their admit card within the allotted time. JEE Advanced 2019 admit card is an important document which the candidates are required to bring along to the examination centre. Without the admit card, the candidates will not be allowed to attempt the examination. A photo identity proof also has to be carried by the candidates. Details about the examination venue, timings and more will be available in the admit card. The candidates will have to enter their JEE Advanced 2019 registration number, date of birth, mobile number and email ID. The admit card will be displayed on the screen. After checking for discrepancies, the candidates will have to download and print out the admit card. All of the correct answers to the questions asked in the examination will be available in the JEE Advanced answer key 2019. Candidates will be able to access the answer key of JEE Advanced 2019 on June 4. Using the answer key, the candidates will be able to calculate their scores before the result is announced by comparing their answer with the correct ones. The candidates will also be able to send their feedback or objections against any answer or question. The final frozen answer key of JEE Advanced 2019 will be released tentatively in the second week of June. Before the results are announced, the candidates can check the probable secured ranks through the rank predictor of JEE Advanced 2019. After calculating their scores using the answer key, the candidates can use the tool developed by Careers360 to check what their ranks may be as per their category, scores and other submitted information. IIT Roorkee will be declaring the result of JEE Advanced 2019 on June 21. Candidates will be able to access the result in online mode. Individual subject scores, as well as total marks secured in the examination, will be available in the result. The All India Rank (AIR) secured by the candidates will also be present in the result. The candidates will have to enter their JEE Advanced registration number, date of birth, mobile number and email address. The result will be displayed on the screen. Candidates will have to print out the result for further use. Along with the result, the rank list of JEE Advanced 2019 will also be released. The rank list is prepared only for those candidates who appear for both Paper I and Paper of JEE Advanced 2019. The secured scores will be taken into consideration while preparing the rank list. The rank list will include only those candidates who score the minimum prescribed marks or more. It should be noted that the minimum prescribed marks will be different for various categories. After the result and ranks of the candidates are announced, the candidates can check the list of colleges where their chances of admission may be high through the college predictor of JEE Advanced 2019. To use the college predictor, the candidates will have to enter their ranks, preferred branches, category and more information. The list of colleges according to the level of chances of admission will be listed out for the candidates. This will allow the candidates to be prepared for the counselling process in which choice filling has to be done. The minimum rank which the candidates have to secure for admissions into participating institutes constitutes the cutoff of JEE Advanced 2019. The cutoff ranks will be determined and released during the counselling process. Qualifying marks for the examination will also be released by the authorities. All of the candidates who meet the qualifying cutoff marks will be listed out in the rank list and marked eligible for the counselling and seat allotment process. JEE Advanced cutoff 2019 will act as a screening process for admissions. IIT Roorkee will not be conducting the counselling and seat allotment of JEE Advanced 2019. The counselling conducting authority will be Joint Seat Allocation Authority (JoSAA). All JEE Advanced 2019 qualified candidates will have to get registered through JoSAA to participate in the counselling process. Selection of preferred IITs and courses have to be done. Allotment will be done as per the ranking of the candidates along with their preference and availability of seats. The application form of JoSAA 2019 will be available tentatively from the second week of June.